Home » What is Espresso? When answering the question “what is espresso” you first have to distinguish if you talking about the coffee beans or the beverage or even the cuisine. The coffee beans for making espresso are typically of the Arabica Coffee bean varietal (Coffea arabica var. arabica) with some espresso blends adding in some Robusta coffee beans (Coffea arabica var. robusta) to impart specific qualities. Robusta beans thrive in espresso blends because they contain roughly twice the caffeine of Arabica beans, and create a better crema. Usually espresso coffee beans are given a Dark Roast though a lighter roast is perfectly acceptable to use in an espresso. What really defines an espresso is how it is brewed, and therefore the grind. The grind size for espresso is very fine with some variations depending upon the type of espresso machine (espresso coffee maker) with the goal of producing a very intense and concentrated coffee beverage. The espresso machine provides pressurized extraction when it forces hot water under very high pressure through a compressed bed of roasted, ground coffee. What Is the Crema Atop the Espresso? What Drinks are Made With Espresso? A classic espresso is comprised of a single shot which has a volume of around 1.5 ounces, with a double shot being twice this amount. An espresso is traditionally served in a demitasse which should be pre-heated before pulling the espresso shot. When you have a properly pulled shot of espresso you will notice that it is very flavorful and quite strong with a thick consistency and robust taste due to the high concentration of coffee flavoring materials. Proper pulling of the espresso includes using a proper brewing temperature and pressure that is created by the espresso machine. This forces hot water through tamped coffee grounds. 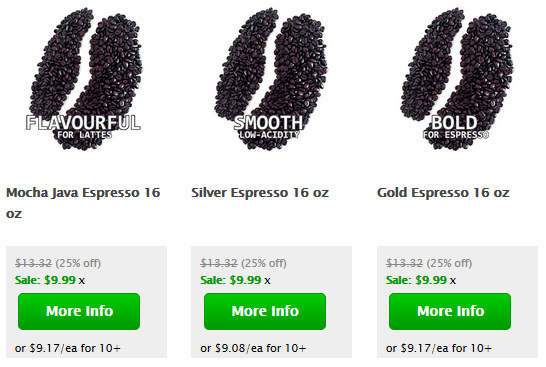 Also important is the fineness of the coffee grind as well as the type of coffee grinder used. In general the grind size for a steam-driven espresso machine needs to be a bit finer than the grind size used for a pump-driven espresso machine since the steam-driven machine generates less pressure. A conical burr grinder is preferred by gourmet coffee lovers rather than a wheel burr grinder. Another important factor is the freshness of the coffee beans as well as their proper storing and roasting. The coffee beans are best ground just before pulling the espresso. Both the portafilter and demitasse of the espresso machine (espresso maker) should be pre-heated before the espresso is brewed. Sitting on top of the espresso shot in a very thin and fine layer is a layer of emulsified oils containing sugars and proteins. This is the crema and it contains the sweetness of the shot and also preserves the intensity of the espresso shot. The espresso shot’s crema is created due to air and carbon dioxide and other gases into the liquid at extremely high pressure. An excellent crema is golden-brown in color and possesses the best tastes and aromatic qualities. There are three main parts to a shot of espresso and these are the heart, body, and crema. The heart is at the bottom while the body is in the middle and the crema floats gracefully on top. The heart should be deep brown and holds the shot’s bitterness providing a nice balance to the sweetness of the aroma expressed by the crema. The color of the body should be caramel brown. Because the process of brewing espresso at high pressure it creates a wonderful concentration of flavors that have a unique ability to retain their flavor when blended into coffee drinks (espresso drinks) such as a Cappuccino, Latte (Caffe Latte), or Mocha (Caffe Mocha), especially when married into the creamy and velvety steamed milk and foam. Espresso should be enjoyed at your leisure. Some people say that consuming it immediately after brewing is ideal, however research has shown that frequent consumptions of hot liquids may lead to esophageal cancer. As a shot of espresso sits, its flavor changes and different qualities of it become stronger or weaker. When comparing espressos, consistency is key more than anything. Make sure the same quantity of grinds are used, the same process and extraction time is used, and wait the same amount of time after pulling the shot to drink it. 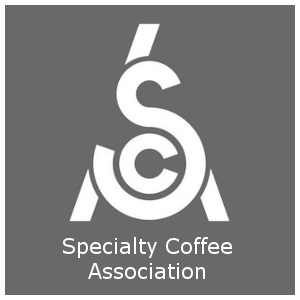 Check out the Espresso Technical Specifications to see all the particulars on brewing a perfect espresso shot. Then drink your espresso at the peak of its freshness and with a great sense of ceremony all in one gulp, this is known as drinking it “solo” and gains the maximum appreciation of the subtle nuances and fine aromas and flavors. An espresso pod is a small disk of coffee that is pre-compacted and weighs seven or fourteen grams (single or double) and measures 45 mm in diameter. The espresso coffee is held within a paper filter. The espresso may be brewed using an espresso machine pod adapter to brew the espresso pod or it could be brewed in the pod espresso machine brewing chamber. Finely pulled espresso shots are used as the foundation for many espresso drinks, also called specialty coffee drinks, which are served all around the globe in coffee houses and cafes. There is also a whole world of Espresso Cuisine enjoyed with the espresso drinks. Biscotti, brioche, or perhaps a croissant as an accompaniment to your latte. For desert how about a gelato, sorbetto, or affogato. Fun Fact: Francesco Illy invented the first automatic coffee machine, that turned out to be the predecessor of today’s much more fancy espresso machines. You can read about this in the World’s Best History of Coffee. Read about all of the best Coffee Makers (Automatic Drip Coffee Makers, Single Serve Coffee Makers, Pod Coffee Makers, Coffee Pods, Coffee K-Cups, T-Discs, and French Press, (also see Best Coffee Makers), and Espresso Machines (including Pod Espresso Machines) as well as Instant Coffee and Decaffeinated Coffee. You can learn about coffee plants and coffee cherry, and full descriptions of all of the world’s top gourmet coffee beans including Organic Coffee, Fair Trade Coffee, Bird Friendly Coffee and Shade-Grown Coffee. Also check out the most comprehensive Coffee and Espresso Glossary ever written, and also the World’s Best History of Coffee. Thank You! for visiting Espresso Coffee Guide and Reading All About Espresso! Savor Your Coffee and Espresso!